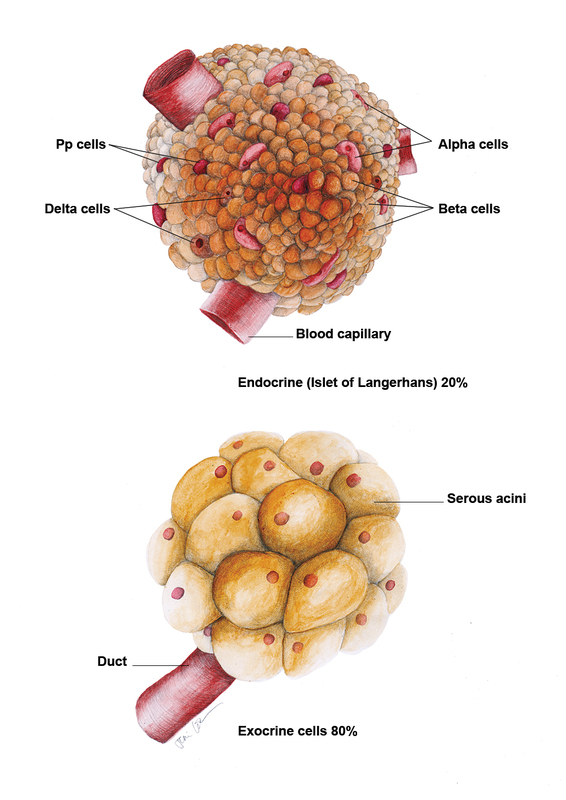 The brief: Produce two figures: a detailed diagram of an adult human pancreas, noting blood supply and innervation; plus an explanation of the different tissues (endocrine, exocrine and duct) and a close up on an Islet of Langerhans showing the composition of alpha, beta, delta and pp cells with significant blood supply. The outcome: The client was keen for the figures to be rendered my signature traditional style, so I created the three illustrations with this in mind. We wanted the figures to have a 3D feel too, giving the viewer an idea of how the cells would look in the human body, as opposed to the traditional, flat view through a microscope.